بمناسبة حلول العام الجديد 2019 عُقد يوم الخميس الموافق 27 كانون أول 2018 اللقاء الرسمي التقليدي لرؤساء الكنائس المسيحية في القدس في المقر الرئاسي لرئيس دولة إسرائيل بحضور رئيس الدولة السيد روفين ريفيلن. في هذا اللقاء القى رئيس دولة إسرائيل السيد روفان ريفلين بحضور وزير الشؤون الداخلية في إسرائيل ، السيد أريئل درعي ، كلمة أمام رؤساء الكنائس والوفود المرافقة لهم ، متمنياً لهم لعام 2019 الصحة والسلام والازدهار، وشدد على أهمية هذا اللقاء لا سيما في مدينة القدس المقدسة مدينة الأديان ، والتي شهدت العام المنصرم أحداث عنف. وأضاف أن تسعى إسرائيل إلى حماية الحجاج في الأراضي المقدسة ، كما هو الحال في نهر الأردن ، حيث تم عملية إزالة الألغام في المنطقة المجاورة لدير القديس يوحنا المعمدان, وانه ليس لدى إسرائيل أي نية للتدخل في شؤون الكنائس. 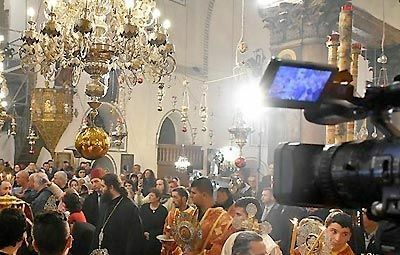 We are delighted to extend to you, Mr. President, on behalf of the Churches and Christian Communities of the Holy Land, the greetings of this holy season, during which our Abrahamic traditions are celebrating important festivals, and during which time so many pilgrims come to this City and Holy Land for spiritual renewal. 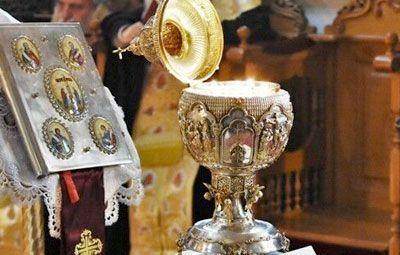 Very soon the eyes of the Christian world will be turned to the Jordan River, as Christians remember shortly after the Christmas Feast the occasion of Our Lord’s baptism. We shall gather at the Jordan River with both the local Christian Community as well as with pilgrims from around the world at Qasr El Yahud. We wish to take this opportunity to thank you, Mr. President, for your personal interest in, and your commitment to, the project of clearing the minefields at this site, and for making this site accessible after so many years. We also express our appreciation to the army for their important role in coordinating all the parties in completing this tremendous undertaking. Mr. President, even as we celebrate this wonderful accomplishment, hindrances remain. One particular challenge that we have managed to resist several times now, the last occasion having been achieved with Your Excellency’s courteous intervention, must be faced head on. 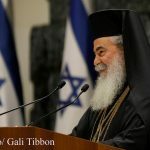 Certain Members of the Knesset, who we believe are misled, moved once again to propose to the Ministerial Committee for Legislation the discriminatory bill which restricts the rights of Christian Institutions to deal with their property and threatens the income that sustains the humanitarian mission of the Church, along with its care for the Holy Sites. We are thankful to the firm support of our friends both in Israel and around the world, who, in spite of the inconvenient timing, came immediately to our assistance. We are sure that their support will not fall, should this legislation be pushed forward again. Your Excellency, we are grateful for your gracious intervention and for the wise approach of Prime Minister Netanyahu in causing this bill to be withdrawn. 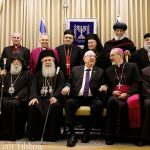 This action is consistent with your commitments to preserve the long-standing Status Quo and to sustaining the unique multi-religious tapestry of our beloved Jerusalem. While thankful for this reprieve, we are deeply concerned that attempts to bring this legislation forward will continue. We shall therefore remain actively attentive to this matter, and convinced that this Bill has no place in the corpus of legislation of the State of Israel. We reiterate our readiness for dialogue to find lasting solutions that benefit the whole society. Yet, at the same time we stand united in our position both to defend our legitimate and sacred rights, as well as to continue that constructive engagement with governmental authorities that has been formed and shaped over the many years. 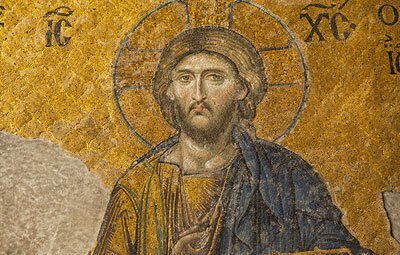 We do not seek our own benefit, but that of the mission that has been entrusted to us by Divine Providence; to serve the Holy Places and witness to this land of the divine-human encounter – that is our common sacred history. 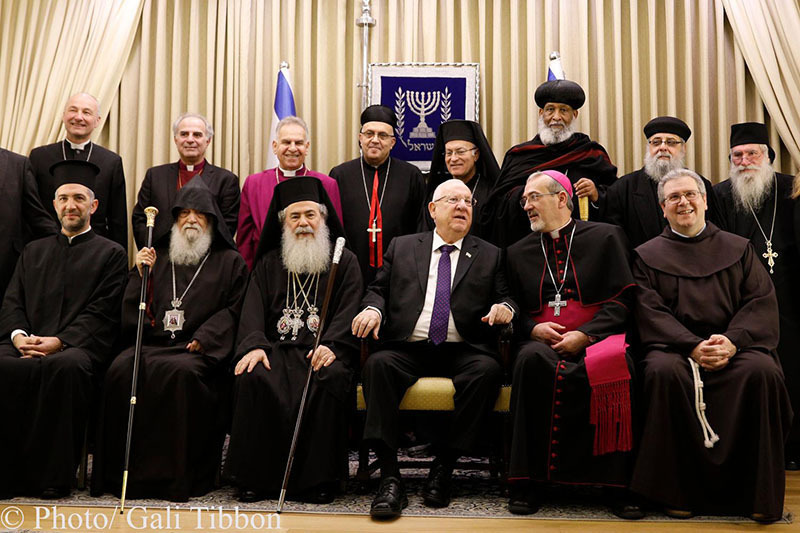 Jerusalem is the universal symbol of peace to which the whole world looks for reconciliation and mutual flourishing. 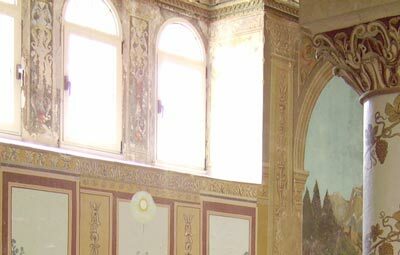 It is unique in its existence as a multi-ethnic, multi-cultural, and multi-religious community that is home to the three Abrahamic faiths. Jerusalem is the spiritual heart of the world that is longing for truth, light and righteousness. 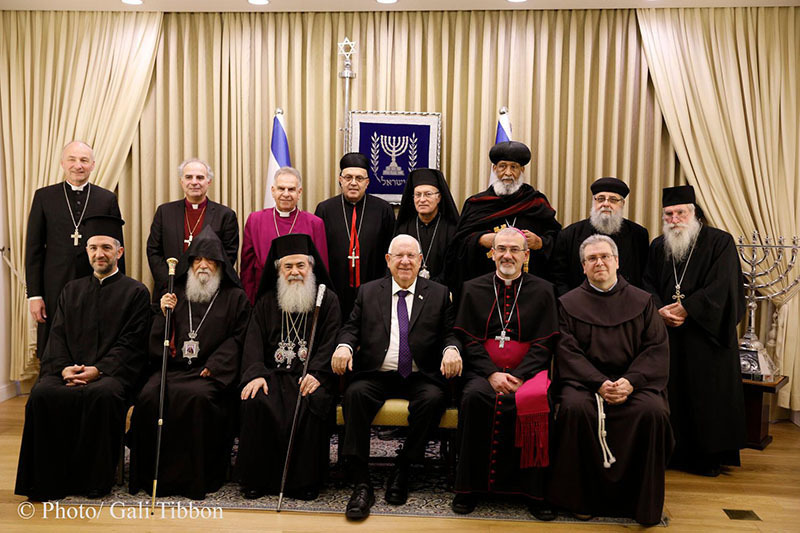 We join with you in your official commitment to preserve this multi-cultural, multi-ethnic, and multi-religious character of Jerusalem, and we applaud your steadfastness to our harmonious mutual flourishing. 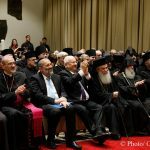 As a Jerusalemite yourself, you understand well that Jerusalem is a unique paradigm of the human community, in maintaining cultural and religious traditions that live peacefully side by side. 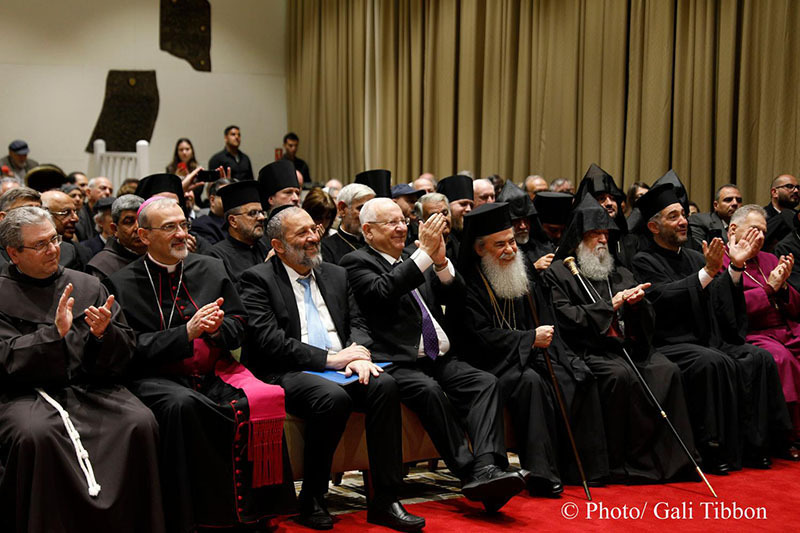 We welcome the support that your give to ensure that Jerusalem maintains this essential character. We take this opportunity, Mr. President, to wish you and your family a Happy New Year. 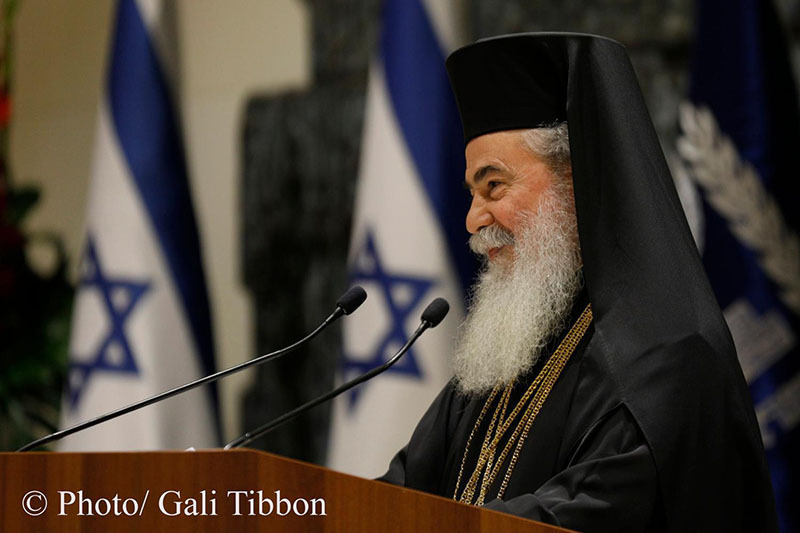 Μάϊος God bless you in your work on behalf of all the peoples of our beloved Holy Land.